My hubby stumbled upon these photos on Buzzfeed website several days ago and he told me about it, knowing that I love both history and beauty products. The first known use of mascara can be documented in ancient Egypt. Records from around 4000 BC refer to a substance called kohl that was used to darken eyelashes, eyes, and eyebrows. Kohl was used to mask the eyes by both men and women, said to ward off evil spirits and protecting the soul. The kohl was often composed of galena, malachite, and charcoal or soot, crocodile stool, and honey. Water was added to the formula to keep the kohl from running. 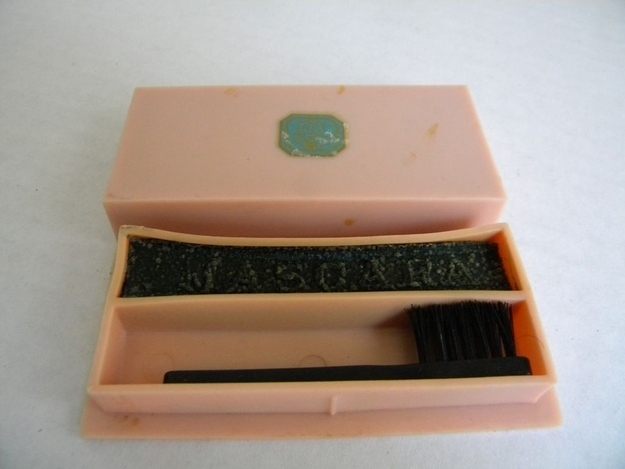 And then during the Victorian era, the women made a type of mascara in their own homes. They would heat a mixture of ash or lampblack and elderberry juice on a plate and apply the heated mixture to their eyelashes to make it look more thick and darker. 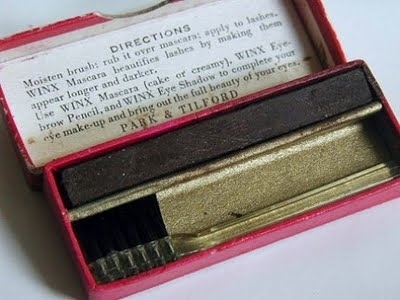 The product that people would recognize as mascara today did not develop until 19th century when an English chemist named Eugene Rimmel (the founder of Rimmel cosmetics) developed a new kind of mascara using the newly invented petroleum jelly. 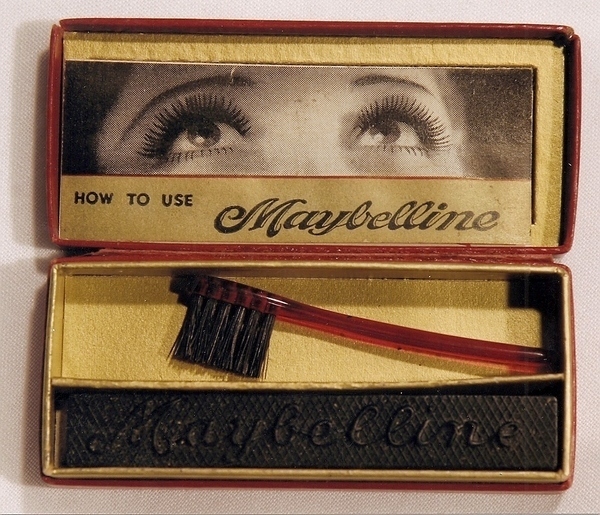 At roughly the same time, in 1913 an American man named T. L. Williams created a remarkably similar substance for his sister Maybel (later in 1917 he started a mail-order business from the product that grew to become the company: Maybelline). 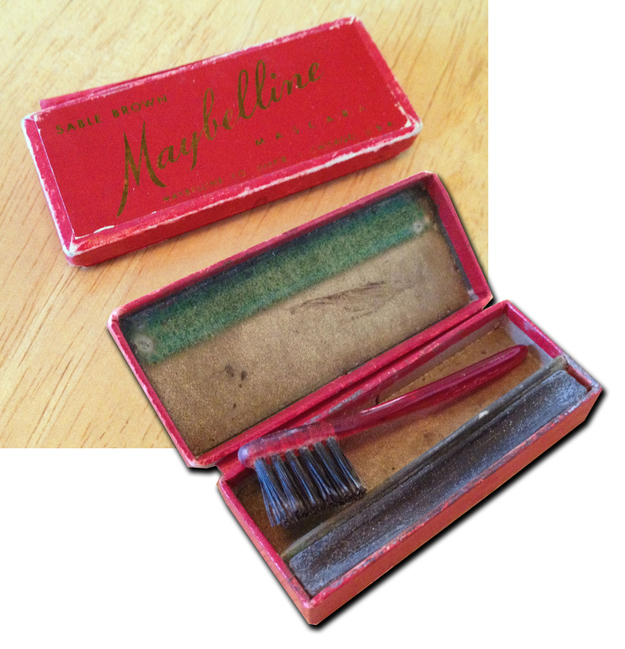 The mascara developed by these two men consisted of petroleum jelly and coal in a set ratio. It was undeniably messy, and a better alternative was needed and soon developed. 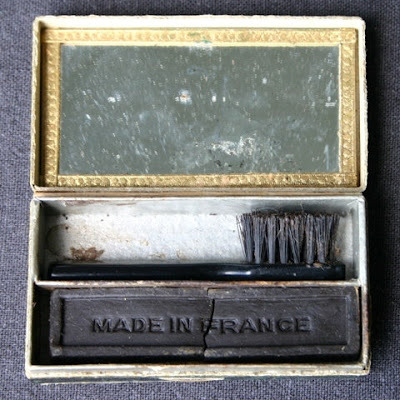 A new way of using it consisted of a dampened brush that was rubbed against a cake containing soap and black dye in equal proportions and applied to the lashes. But still it was extremely messy. No significant improvement occurred until 1957 with an innovation by Helena Rubinstein. She created a new formula that evolved mascara from a hard cake into a lotion-based cream texture. She packaged the new mascara in a tube to be sold with a brush. To use it, the cream was squeezed onto the brush and then applied to the lashes. Although it was still a bit messy but it was easier to use. Soon after that, a grooved rod was patented. And then the grooved rod was altered again into the brush similar to the ones that we used today. The changes in the applicator led mascara to be more popular because of the easier and more practical application. And it is still use until today as one of the most important makeup/cosmetic product for women worldwide! If you want to read my old post about vintage shopping malls, click here..
Love this type of post - It's amazing to see how make up and technology have changed over the years.